Heather & Crafton Featured in Tampa Bay Times! 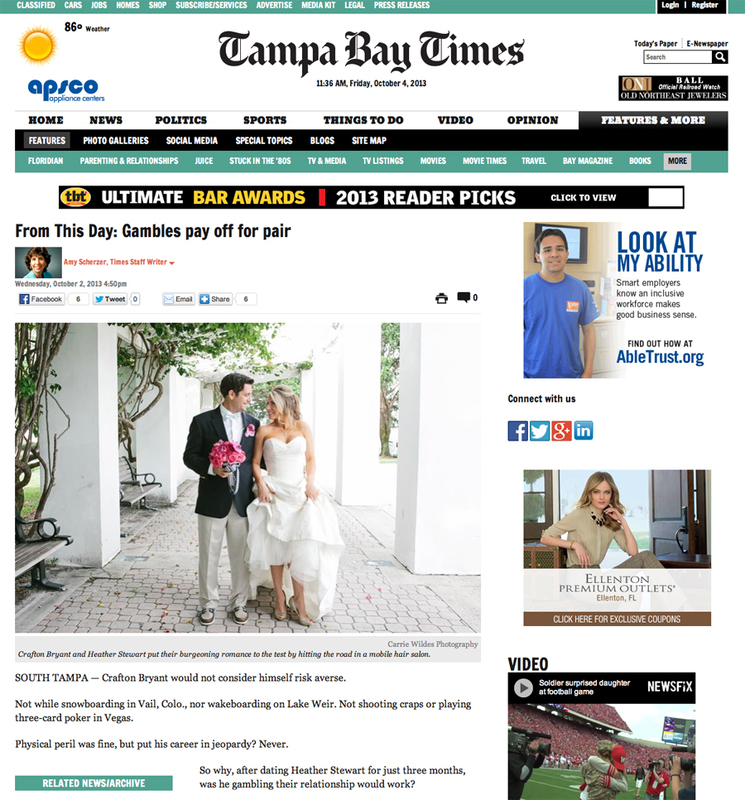 Every year at this time the Tampa Bay Times featured interesting wedding stories and couples. Heather & Crafton's story was featured yesterday in print and online! Read it here!! !